You can get great looking legs with our safe and effective spider vein removal treatment. There is little, if any discomfort, for most patients and significant improvement after just one or two treatments. Why do you have this condition? Hereditary is the consensus of most doctors. The condition may be further enhanced with increased pressure on the legs, such as pregnancy, or long frequent periods of standing. Facial blood vessels are even more likely to be hereditary and are enhanced by Rosacea, sun exposure and alcohol intake. 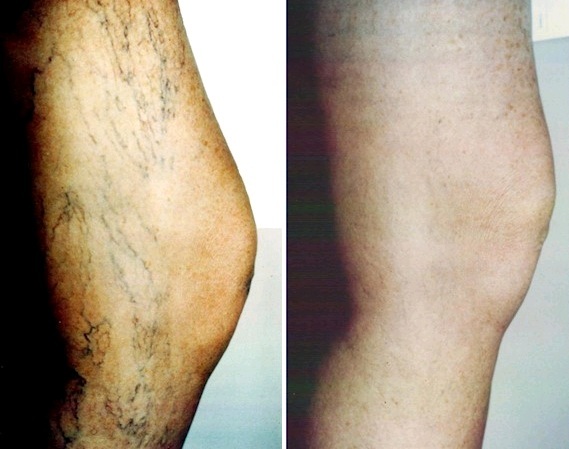 Spider veins can be treated by sclerotherapy or laser light therapy, and is done in the doctor’s rooms. Being a walk-in and walk-out procedure, it does not involve a visit to the hospital. The doctor uses a very fine needle to inject the veins with a special solution, which causes the wall of the blood vessels to close up, (sclerose) thus eliminating blood flow into the veins. 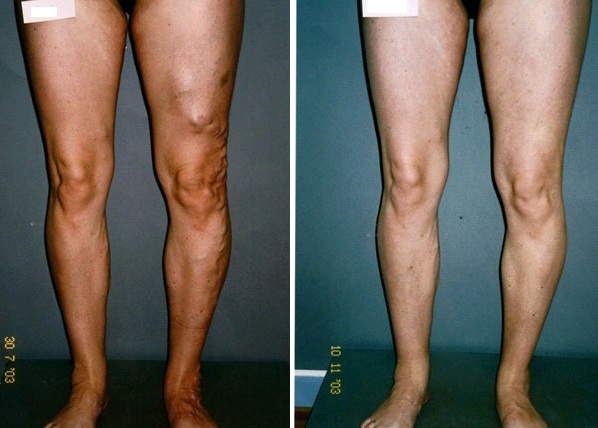 A series of injections are performed according to the amount of visible veins. The solution is painless and does not sting. You may need to wear a compression pantyhose several days after the procedure to help prevent bruising. Some bruising will occur, but disappears leaving your legs without the unsightly looking veins. The IPL Photoderm treats the smaller spider veins with intense pulses of light that cause the veins to shrivel immediately. Call us directly to book your treatment for Spider Veins on 03 9824 1166. Hereditary is the consensus of most doctors. The condition may be further enhanced with conditions causing increased pressure on the legs such as pregnancy, or long periods of standing. Varicose Veins form in the superficial venous system, when one way valves that control the circulation break down. This leads to increased venous pressure in the veins which then thicken and buckle giving the “knotty” look. Associated with the unsightly appearance are symptoms such as swollen achey legs which often cramp. If present for years, skin discolouration and ulcers can form. Each patient is fully assessed and fully informed before commencing treatment. Each treatment includes identification of the vein (s) to be treated. 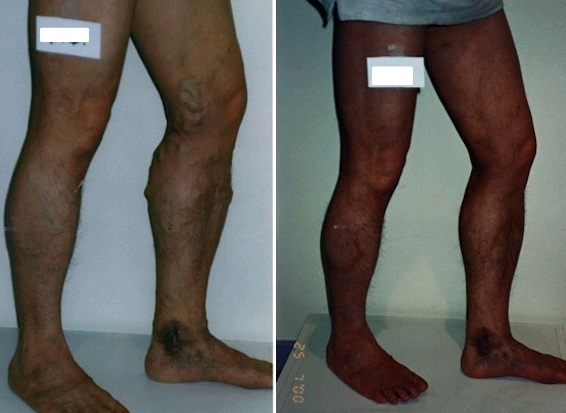 Several micro-injections along the vein(s) of a solution of Sodium Tetradecyl Sulphate followed with application of compression by using a special stocking and/or bandages. Inconvenience to your lifestyle is minimal. You are able to return to work immediately and to vigorous exercise in 4 days. Sclerotherapy is done in the doctors’ rooms as a walk in and walk out procedure. It does not involve a visit to the hospital, nor does it require time off work. The doctor uses a very fine needle to inject the veins. The solution causes the walls of the blood vessels to close up, (sclerose) thus eliminating blood flow into those veins. 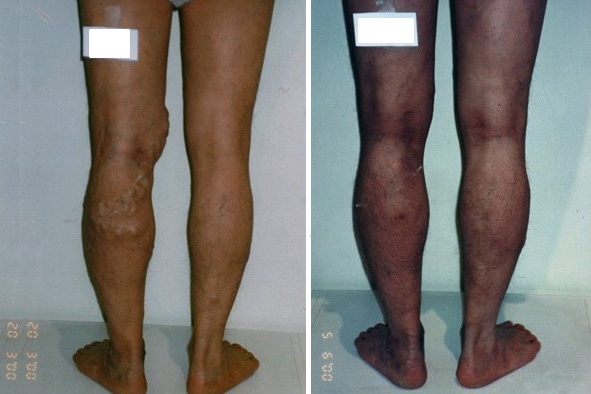 A series of injections are performed according to the number of visible veins. Each treatment is completed in 15 to 30 minutes. You may feel a slight burning sensation during the injections which fades away quite quickly. Some form of compression is usually required and may be tapes or a compression stocking. Some bruising may occur but disappears leaving your legs without the unsightly looking veins. Don't let varicose veins affect your quality of life and get healthier legs without surgery!